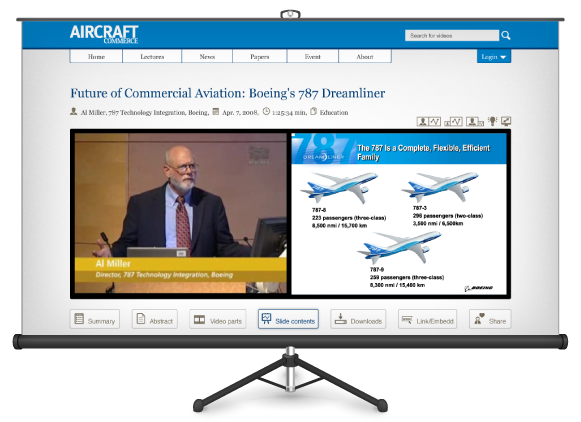 Presenting lecture Videos and Slides "side-by-side" will help your business leverage on your knowledge. It may also simplify publication process and save your time. 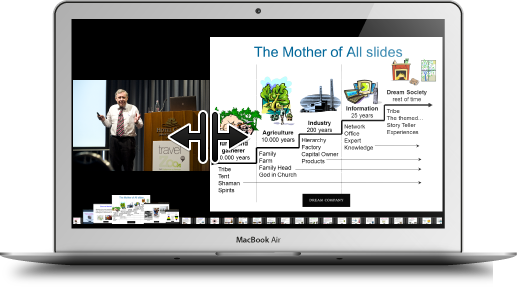 Create top quality video lectures by easily uploading your talk's video recording and presentation slides and then matching them together on a timeline with a few clicks in your browser. We will automatically process your Powerpoint and PDF files and provide crystal quality images on desktop browsers and mobile devices at all resolutions. Feel free to configure your site the way you like and use it the way it makes most sense to your business. Stay in control of your content at all times and use built-in access control to choose what is shown publicly and who gets to see restricted videos. You can also embed your videos into your existing sites. Do you remember when was the last time You watched a full one-hour lecture in one sitting with full attention? So give your visitors a relief and provide them with easy-to-navigate lecture timeline so that they can better focus their attention. Let them zoom-in on slides to easily read texts or keep their focus on the speaker. Research shows that body language is important in building trust and engaging viewers while reading slides improves recall. Giving visitors a chance to select the ideal mix of both will make them pay more attention to presented content. 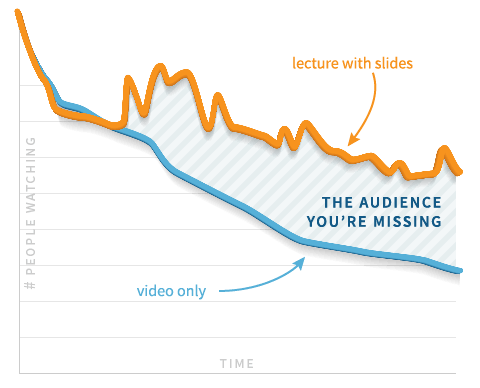 On typical video platforms, people will just keep dropping off throughout the lecture. But given switchable slides, people can now skip through lengthy introductions and navigate directly to interesting chapters - where they will actually stay longer. Visitors will engage better and interact more. More interactions also gives us more opportunities to measure what is going on and even draw you a chart of hottest chapters in your talks. It has been shown that sites with navigatable videos engage people for up to 3 times longer. The gains are even better after taking in account that they have likely spent that extra time selectively discovering and cherry-picking parts that they find interesting. By making the user experience more playful and interactive, visitors are also more likely to engage with other content on the same site - resulting in reduced bounce rates and better conversion. 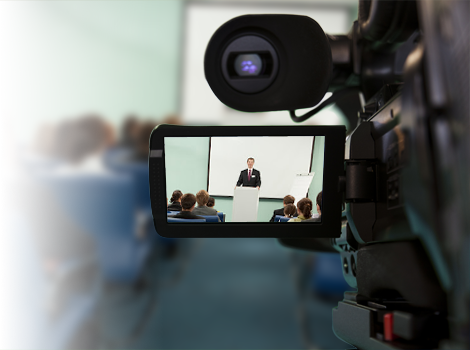 Integrate your online videos with mayor payment providers and create new revenue streams with your high quality content. Keep some videos open and use them as a marketing tool to acquire e-mail addresses of potential visitors. Give your conference visitors awesome extra value by letting them see the talks they have missed. 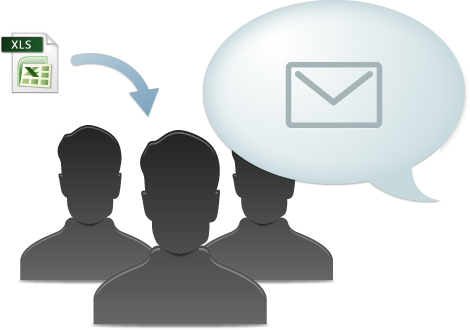 Upload an Excel sheet with attendees' contact information and send them an automated invitation e-mail with access permit in a few clicks. Use built-in analytics tools to find out which content generates most interest and what you should focus on when organizing your next event. 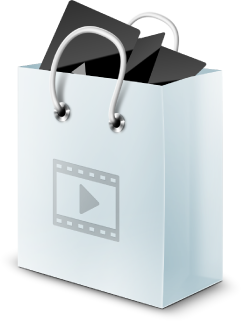 Your package includes: Fully brandable web site ready for video upload. Publish videos locally or embed them into other sites and blogs. Configurable social sharing. Simple password access protection. 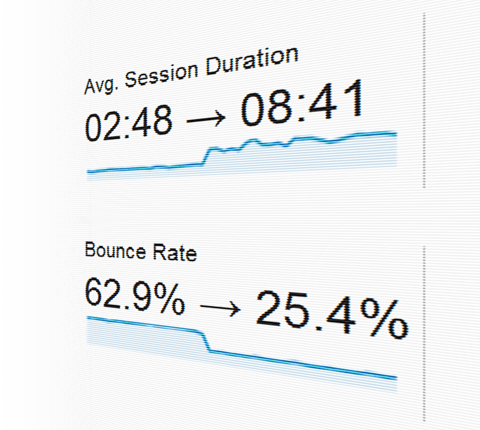 Site statistics and analytics. So when is Viidea right for me? Viidea offers cloud based self-served web portals intended for hosting lecture videos that you record yourself. Upon signing up with Viidea, you are given your own web portal that you can customize to your own needs (colors, branding) and immediately start uploading your videos and slides. The videos that you upload to your site are automatically encoded into multiple other video formats needed to support various mobile and desktop platforms, be it Flash or HTML5. You always keep full control of your site and its content. You are free to use it for hosting public or private videos in which case Viidea offers a built-in access control and a simple group management system. Site owners pay a monthly subscription for using Viidea's service.